A unique musical sculpture designed to add beauty and charm to the home or garden. Modelled after the original Woodstock Garden Bells® the Encore Garden Bells add a touch of whimsy and music to the garden. 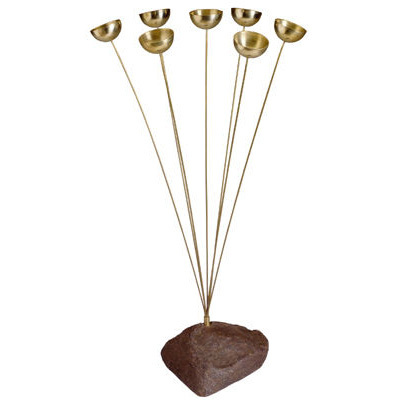 Materials: GardenStone base, 7 brass bells.